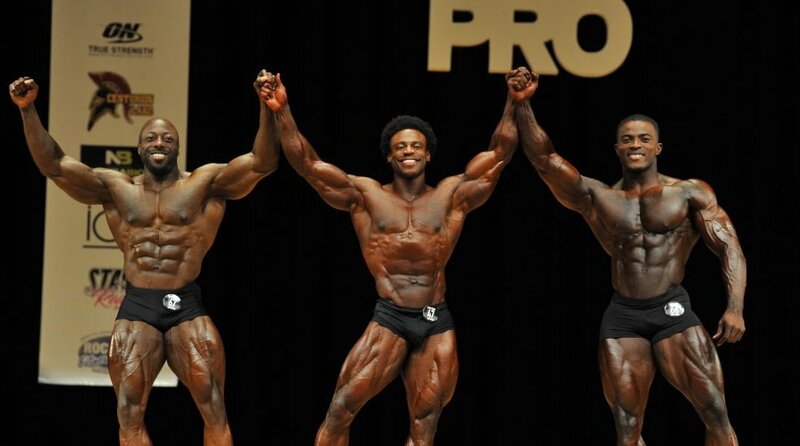 ANSLEY TRIUMPHS AT THE NEW YORK PRO! Displaying a symmetrical and balanced physique with shredded conditioning, Breon Ansley took first place in the highly competitive Classic Physique division at the IFBB New York Pro championships Saturday night in White Plains, New York. With the victory, Ansley, who is brand ambassador for Old School Labs, immediately became the frontrunner to take the coveted Mr. Olympia Classic Physique contest scheduled for September 15 in Las Vegas. The New York Pro show is one of the crown jewels of the IFBB circuit. Only the Arnold Sports Festival and Olympia exceed it in reputation and prestige. Ansley had to overcome a crowded lineup of 27 outstanding athletes who entered the growing Classic Physique category. Since this new division was announced by the IFBB at the end of 2015, competitors and fans have responded enthusiastically to this celebration of aesthetics and artful muscle sculpting that was common in the Golden Era of Bodybuilding in the 1960s and ‘70s. The Classic Physique division places symmetry and shape of the overall physique at the forefront of the judging criteria. So, a V-taper and tight waistline are important components in scoring well. Breon is a perfect fit for the division. And, he showed again why he is the ultimate representative for this movement to restore aesthetic bodybuilding excellence. It’s been a steady climb for Breon. He earned his pro card by winning the Middleweight Class at the 2013 NPC USA Championships in Las Vegas in a highly competitive national show over 16 other top bodybuilders. 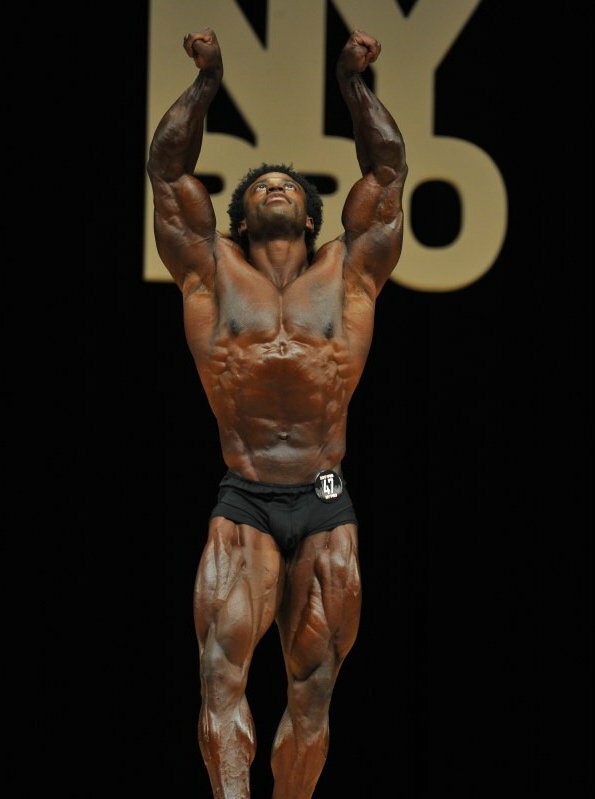 Breon entered his first pro show in 2014, competing in the Men’s Bodybuilding 212 division at the Phoenix Pro. 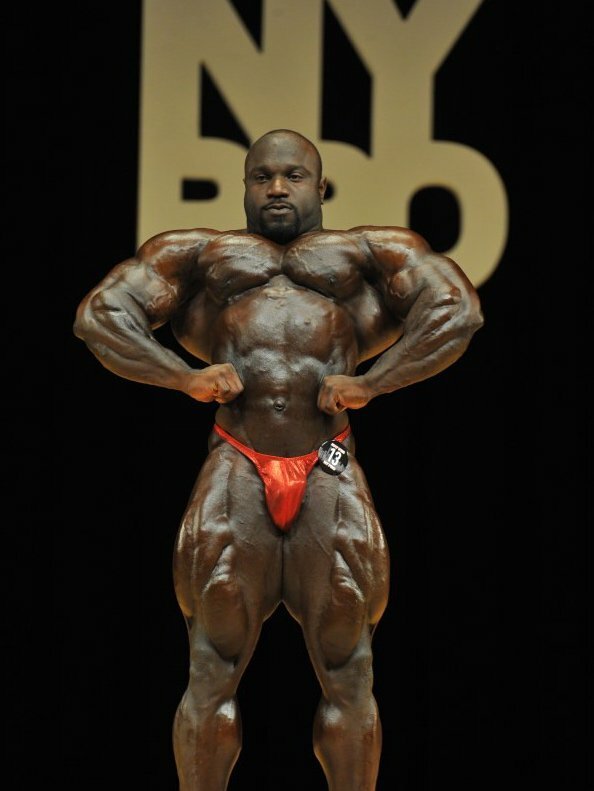 He placed 15th in a very tough lineup, which was won by the massive Jose Raymond. However, Breon displayed the determination and work ethic that’s a throwback to the Golden Era philosophy, and he won first place at the 2016 IFBB Prestige Crystal Cup in his Pro Classic Physique debut. After placing fourth in the first ever Classic Physique Olympia last year, he’s continued to fine-tune his pleasing combination of thickness and shape to set a new standard in the division. Breon is now poised to become the first great Classic Physique superstar. Taking second in the New York Classic Physique Pro division was George Peterson from Jamaica, New York. 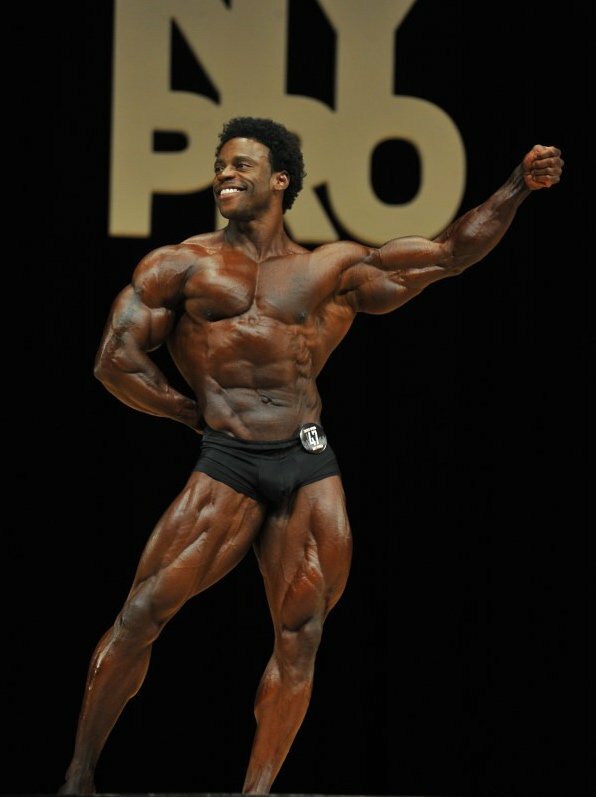 Peterson was the winner of the first ever NPC Nationals Classic Physique last November in Miami. Blessed with low inserting lats with amazing thickness and muscularity, Peterson revealed a heavier than normal physique at the New York Pro, because the weight limits are different for pros than at the amateur level. When he won his class and the overall at the NPC Nationals, he weighed less than 180 pounds onstage, though he looked at least 15 pounds heavier, thanks mostly to his incredible back development, reminiscent of Lee Haney in his prime. He’ll continue to chase Ansley for first place in future shows. 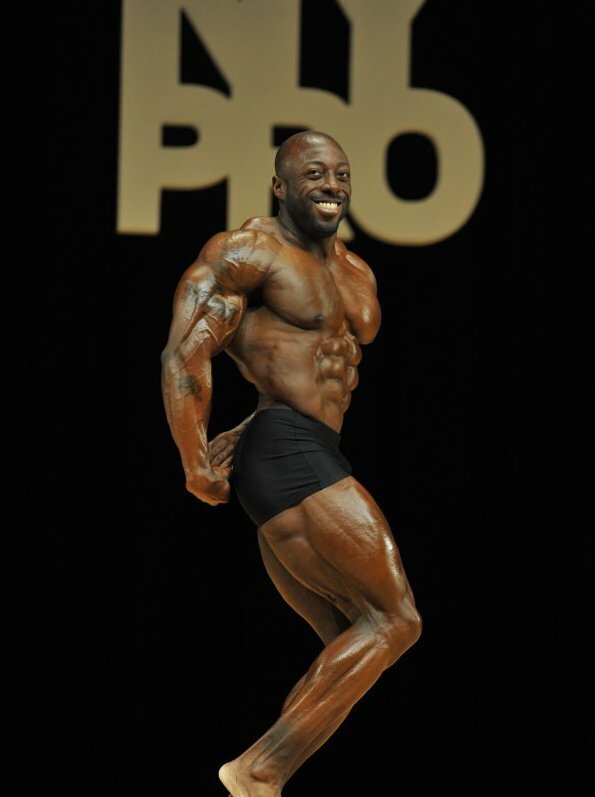 Third place in the Pro Classic Physique was earned by Kenneth Owens from Hephzibah, Georgia. 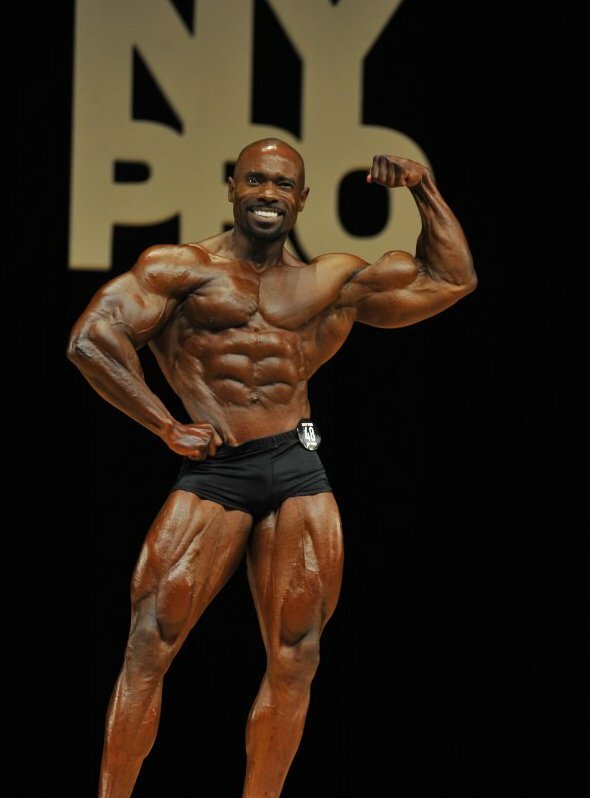 Owens is a new competitor in the Classic Physique division, having won his pro card at the 2016 NPC Jr. USA Championships, where he took second place in Class B. He is one of the smaller competitors, but he has an extremely tight waist and great leg development. That and his excellent overall aesthetic development propelled him into third place in this very tough pro show. Placing fourth was Lee Banks. A former IFBB pro bodybuilder in the 212 division, Banks has completely revised his physique and now looks better than ever. 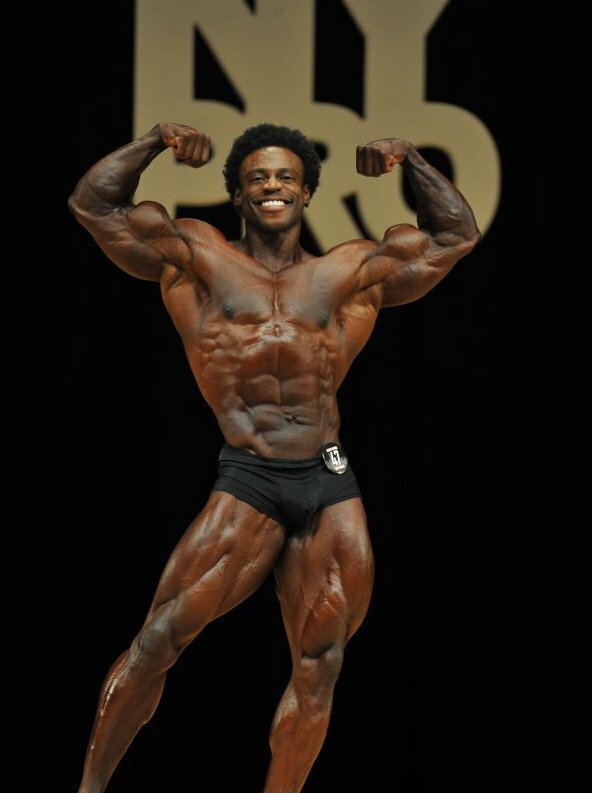 He made his pro debut in the Classic Physique division at the IFBB Karina Nascimento Classic, taking a very close second place to veteran pro competitor Darrem Charles. Lee is still looking for his first win in the Pro Classic Physique division to secure his invitation to the Olympia Classic Physique. Even more impressive than his current look is the fact that Banks is now competing with 50 pounds less bulk than at his heaviest. Banks has streamlined his waist while retaining his impressive muscle mass and fullness. His physique looks very similar to Peterson’s, thanks to his tremendous upper body and freaky V-taper. As Banks works to bring his legs up in proportion with his massive upper body, he will be a top contender to win one of the Pro Classic Physique competitions this year and make the Olympia stage in September. The Open Men’s Bodybuilding division had a more direct link to the Golden Era of bodybuilding. Sergio Oliva Jr., son of the late Sergio “The Myth” Olivia, one of the greatest athletes in the history of the sport, displayed the genetic gifts that helped his father win three Mr. Olympia contests, as the son racked up his first IFBB pro win. Showing the mind-blowing proportions that made his father a legend, Oliva Jr. upset pre-show favorite Jonathan De la Rosa. Though he was bigger than ever and in the best shape of his career, De la Rosa was not as ripped as Oliva Jr., who displayed superior conditioning and balance. 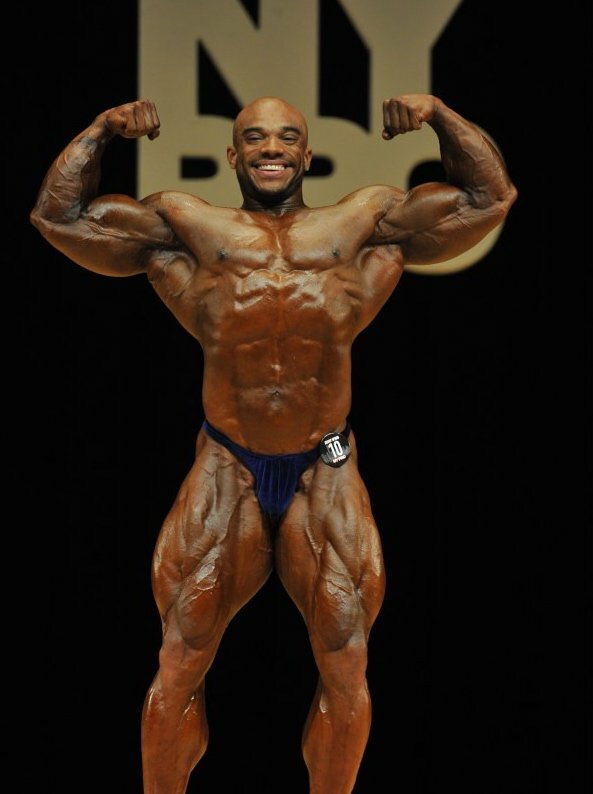 Hard to believe that Oliva Jr. started out as a skinny middleweight, but in just a few years he’s made the most of his tremendous potential, finally earning his pro card at the 2015 NPC Nationals, winning the super-heavyweight and overall titles. Proving that nothing gets handed to you in the sport of competitive bodybuilding, Oliva Jr. has shown the grit and desire to do what’s necessary for greatness. Finishing in third place was Juan Morel. A New York resident, Morel won the New York Pro two years ago. But this year, he lacked the ripped muscularity that earned him top honors in 2015. In fact, the audience registered surprise that Morel made the top three. Taking fourth place in his pro debut was Luis Rodriguez. He used an excellent structure and a dramatic V-taper to highlight his eye-popping size and proportions. 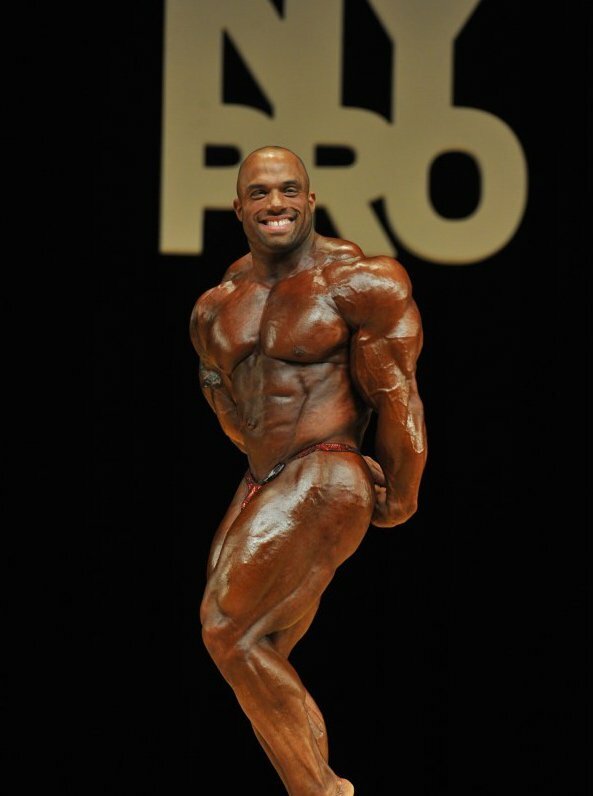 Rodriguez made a big impact in his first contest as a professional, and impressed both the judges and the audience with his shredded muscularity. He’s going places. 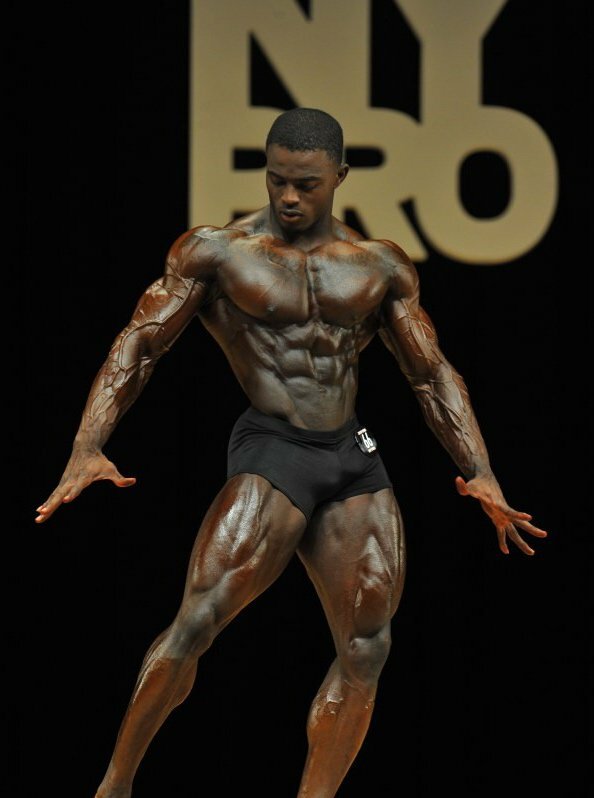 Akim Williams, one of the favorites to win the 2017 New York Pro, finished fifth. Williams is simply one of the biggest pro bodybuilders on the planet, with thick muscle bellies and huge arms. however, his conditioning was off the mark in New York. He needs to restore the ripped mass he displayed to win the Tampa Pro last year. Thanks to his overwhelming size, Williams will always be in the mix. With the victories of Breon Ansley and Sergio Oliva Jr. at the 2017 New York Pro, the bodybuilding world has two young, new superstars on the horizon. The 2017 Mr. Olympia should be an exciting event this year. Both Oliva Jr. and Ansley plan to shake things up and create a new world order in the IFBB!